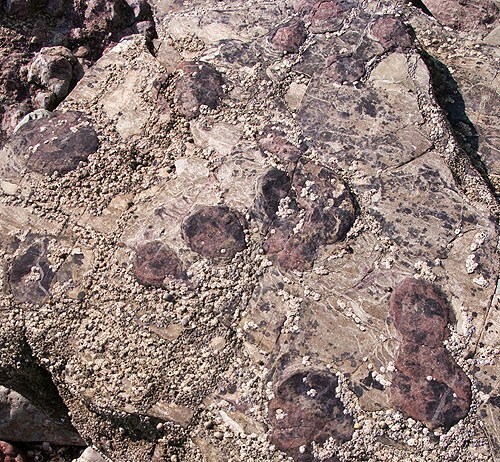 In the Old Red Sandstone rocks at Scotts Bay are Trace Fossils . The trails , footprints , burrows , etc, which ancient animals have made in sediment and been preserved in rocks. These are infilled Burrows of ancient animals ( worms ?, amphibians ? ), thought to have been burrowing in sediments , where a moist environment was provided .